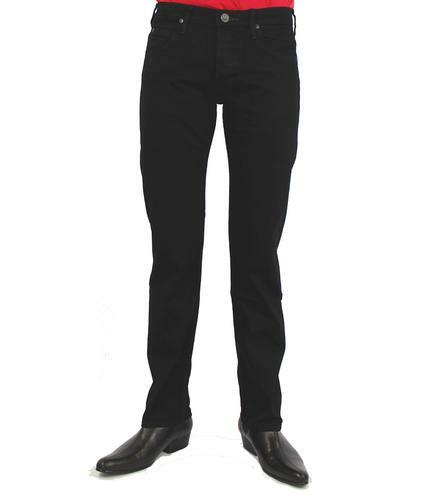 LEE 'LUKE DART' MENS RETRO INDIE TRASHED DENIM SLIM TAPERED JEANS (Black Top). Lee 'Luke Dart' Jeans are a classic slim tapered denim staple, here with a stylish Retro distressed finish and deliberate trashed effect for that authentic Indie look. Contemporary dart detailing to the legs makes these Lee Luke Dart jeans a real stand out garment. Regular waist and slim fit. A contemporary Indie version of a classic Vintage 1950s Lee style, Luke Dart Jeans taper into a skinny leg with tight leg opening. Perfect for a casual Mod look. 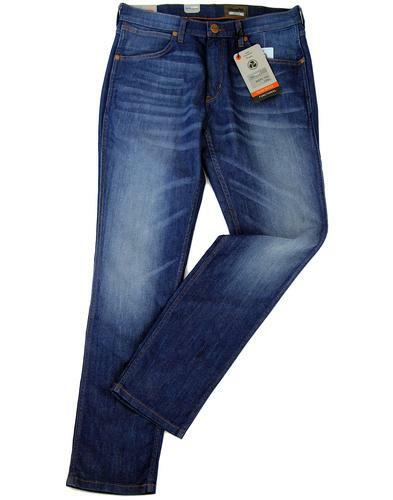 Luke Dart 5 pocket Mens Retro Denim Jeans by Lee. A stylish play on Retro drainpipe Jeans, these Luke Dart fuse a distressed Indie vibe with fab Vintage flair. Lee 'Luke Dart' Regular Slim Tapered Fit Retro Mens distressed denim jeans in Top Black. A cool Vintage distressed denim that incorporates a light faded treatment. Trashed detailing with darned effect adds texture and a refreshing modern edge. Featuring Lee's iconic Fifties 'Lazy S' back pocket stitching. Vintage back waistband branding and Lee signature woven tab detail. Retro worn in look with fading to knee and back legs. A traditional Lee style full of Retro charm, Luke Dart Jeans feature slim tapered leg, rivet fasten and zip fly. The Luke has a regular waist and is cut slim from the waist through to the thigh, tapering in towards the leg opening for a classic tight fit. An original Lee Jeans Denim staple, Luke will never go out of style. Look great worn as turn ups, paired with rugged worker style boots. Vintage metallic branded rivet pocket strengtheners. 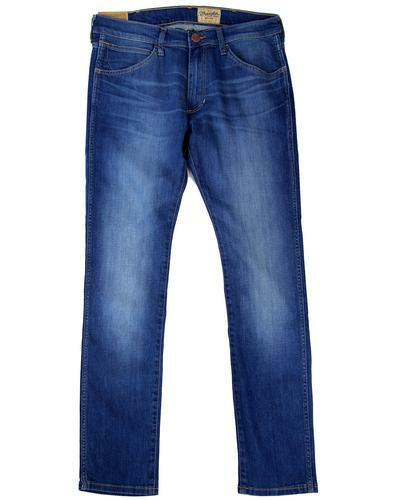 Classic 5 pocket Mens slim tapered denim jeans - Luke Dart by Lee. The classic Top Black distressed denim colour wash offers a stylish Indie look. 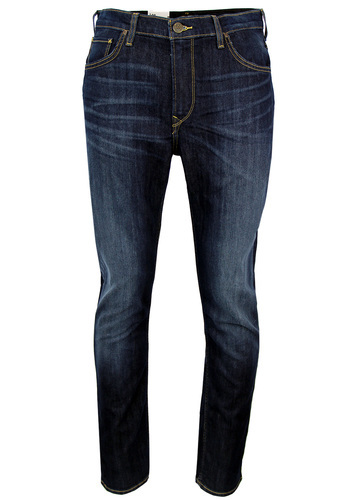 SKU: L70FJBLA Luke Dart Lee Slim Tapered Jeans. 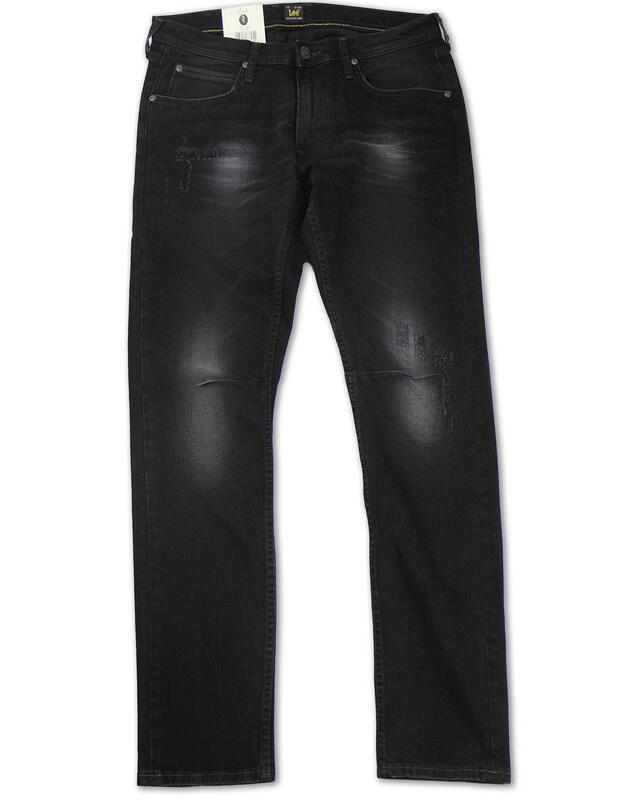 Lee Jeans 'Luke Dart' Mens Retro Indie Trashed Effect Slim Tapered Denim Jeans (Top Black).